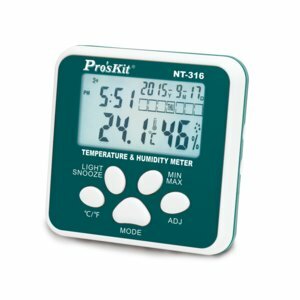 Mini Digital Temperature (°C/°F) and Humidity Meter. Temperature range: -50℃ ~ +70℃ (-58℉ ~ +158℉). Relative humidity range: 10% ~ 99% RH. buy this item contact your local distributor. Product is available in the stock(s) highlighted.